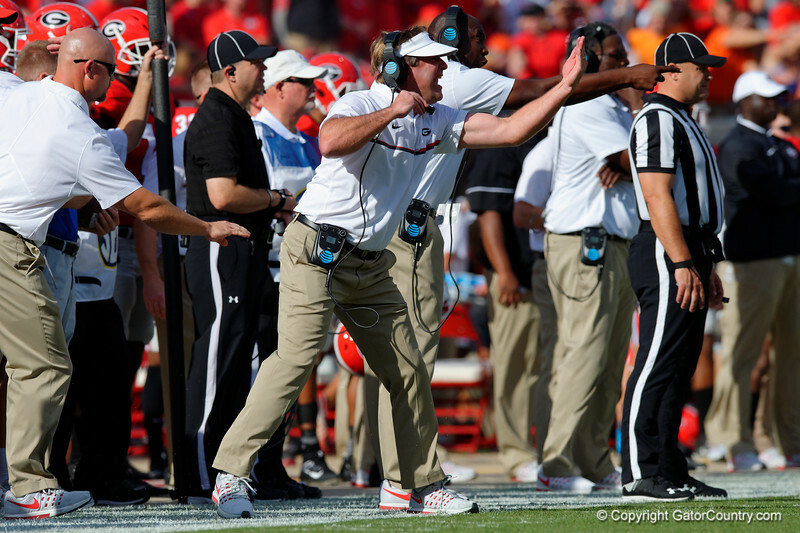 Bulldogs head coach Kirby Smart as the Florida Gators win 24-10 at EverBank Field in a SEC rivalry game against the University of Georgia Bulldogs in Jacksonville, Florida. October 29th, 2016. Gator Country photo by David Bowie.